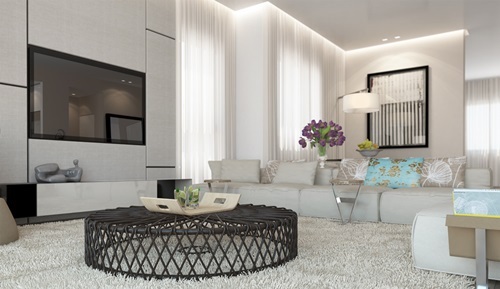 White living room is considered as one of the most elegant modern rooms. That’s because white is relaxing and peaceful color. 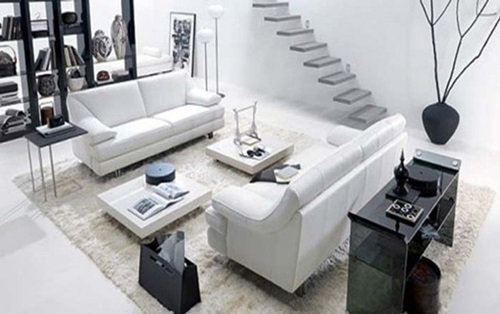 All of what you need to decorate your white living room is smart planning creativity, and a talent of arrangement. 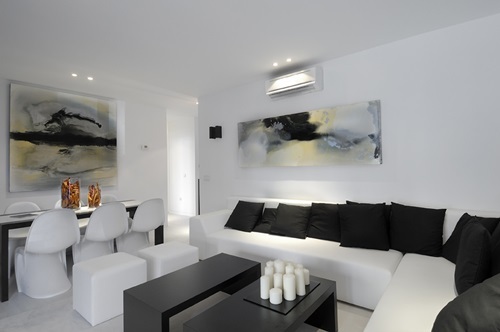 The whole color and design of your living room has to be co-ordinated. 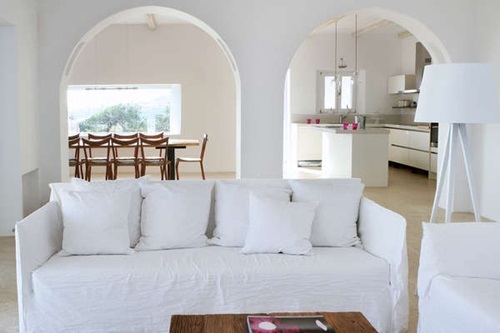 You can place a round rug with natural color and design in the center of the room. 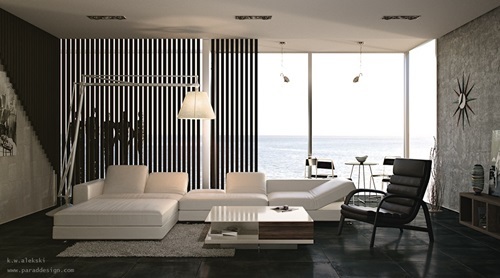 A colorful curtain with simple designs will reflect the elegancy of your living room. 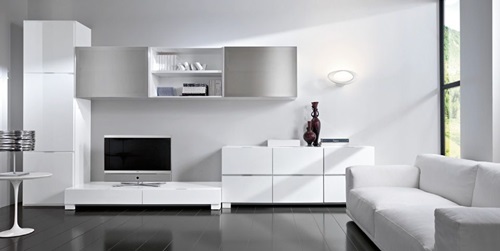 If the walls are painted by a shade of white, you may decide the color of furniture according to this shade. Red and blue are always desired with white. You may use few pillows with different textures and patterns such as animal print and plaid to make the room more interesting. 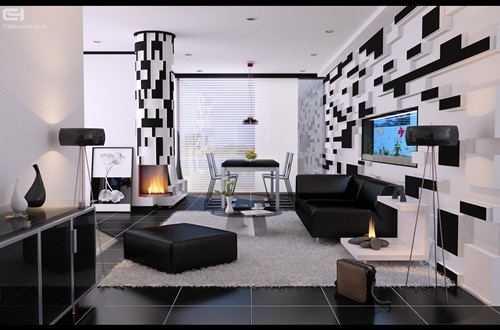 Accessories in the living room may not be expensive. 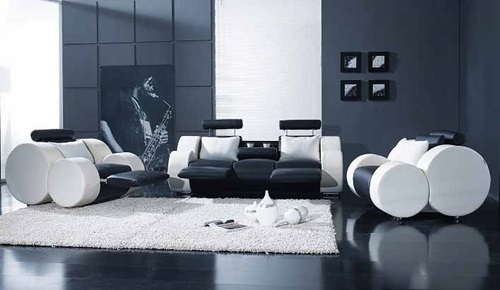 Your living room might be extremely elegant even with the black and white photograph with black frame. Try to place one or two accessories and works of art to avoid clutters. You can arrange the glass shelves on the wall neatly to display the items on them and to reflect the lights coming from the crystal chandelier and the simple, sleek lamps of the end table. 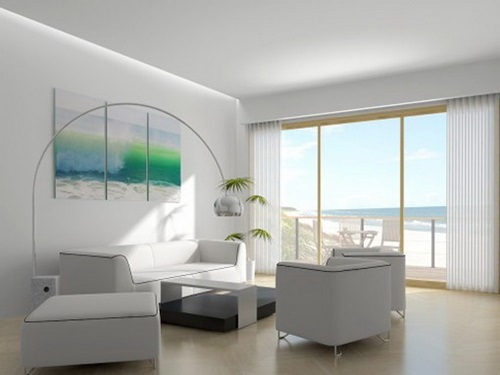 If you put a framed mirror on the other wall with a framed picture of landscape, the room will look brighter and larger. 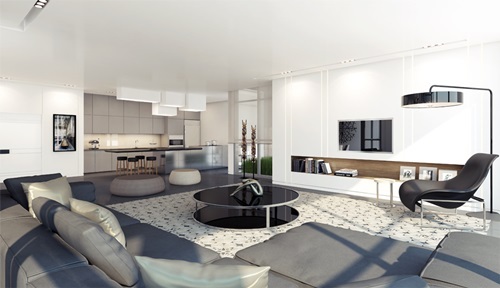 Your unique fireplace with light-colored marble or granite would be a marvelous accessory. Tall natural or artificial plants will ornament the corners, while the shorter plants fit the coffee table or end tables. 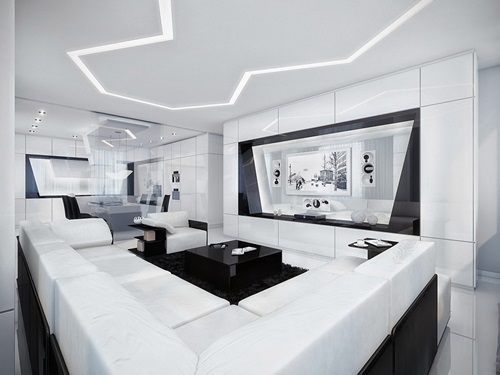 The natural look will be completed by a transparent aquarium with the shapes of sharks and corals. To add a personal touch, you could place a framed picture for your family and a bookcase with your favorite books. 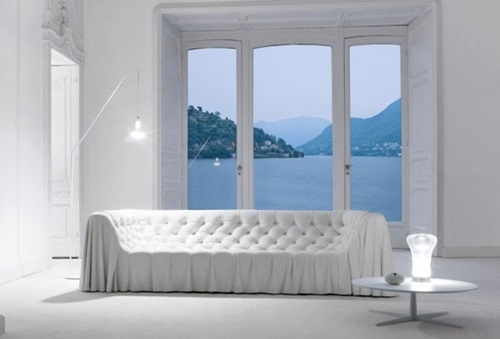 This way, your white living room will look perfect.